While hosting a murder mystery weekend at her inn, she tries to match a young couple and makes a huge mistake. Now she must fix her mistake before the guests leave at the end of the weekend, all while making a bigger mess of things along the way, in her typical fashion. As if Cari didn’t have enough to worry about already, her old boyfriend just moved back to town. Years ago, she forced herself to stop thinking about Mike, but now that he’s back, there is no avoiding him. It’s a small town and she keeps running in to him, no matter how much she hopes to avoid it. When she stumbles across some unexpected secrets, and Mike helps her with her current matchmaking dilemma, all of her feelings from the past come flooding back. 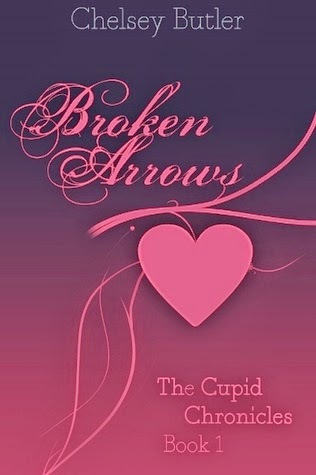 Broken Arrows is a cute, fun fantasy story with adorable, quirky characters. It takes place in a small town called Fable, GA in which most residents are descended from supernatural beings such as elves, fairies, and even Cupid. The story just flies by, and I was done before I knew it. My only real beef was that I didn't want it to end. Cari is a direct descendant of Cupid and can see a couple's auras when they are soul mates and ready to be together. She crafts all sorts of love potions in order to help the process along. Running an inn, she has lots of folks coming and going and that keeps her pretty busy. Unfortunately she's a bit clumsy when it comes to her Cupid duties. It makes for some funny scenes and Cari's utter mortification. I really liked the characters in this novel. Best friend Roxy is descended from the Tooth Fairy and works as a dentist. Roxy is a really fun character and I'd love to learn more about her. Old flame Mike I'm not so sure about yet. We never get the complete story about what went wrong in the past with Cari. Like I said earlier, my major disappointment was that it seemed to end to abruptly. I know this is part of a series, but so many questions were left unanswered. It was a bit frustrating. That said, I think this will be an interesting series to read. I can't wait to read more about all of the interesting characters residing in Fable. 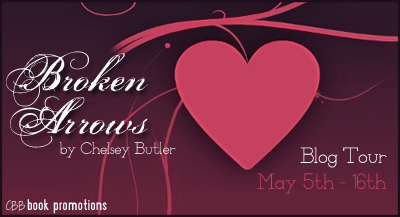 Broken Arrows is a lighthearted, quick fantasy with just a touch of romance, some intentional, some accidental. All in all it was quite enjoyable. 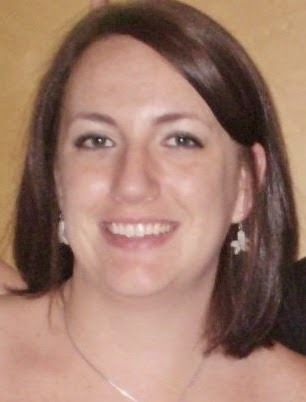 Chelsey Butler was born and raised near Fort Worth, Texas. She still lives in north Texas with her husband and four daughters, but she rebels against the Texan stereotype. She loves God, her family, and all things involving books, and is a self-proclaimed nerd, a history buff, and vintage enthusiast. She also writes young adult fantasy under the name S.G. Tillery. Chelsey loves hearing from her fans and encourages them to find her on Facebook. The plot sounds a lot like "Once upon a time" series, which is one of my favorite! Can't wait to read this piece! I love fairy tale retellings, and this story is similar. So glad you enjoyed this one! Thank you so much for hosting a tour stop!